“It did used to be a sport that people would turn up and just ride and have a few beers afterwards. 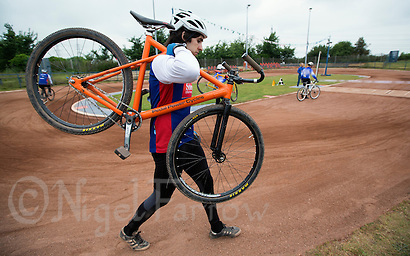 Maybe even before and after,” says Great Britain and Ipswich rider Josh Brooke of cycle speedway. “A few years after I started riders took it a little more seriously, gym sessions, structured training etc. etc. You’ve got people now that are in the gym four or five times a week, getting sponsorship, stuff like that so I’d definitely say the sports got a lot faster and a lot more professional since I first started. 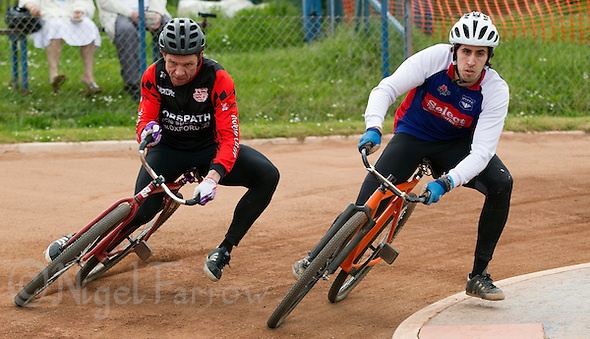 Brooke has been racing since just after Ipswich Cycle Speedway Club reformed in 2002 when a schoolfriend Leon Mower, who he still rides with at the club, persuaded him to give the sport a try. As the pair attended more training sessions they started to take their racing more seriously. Brooke’s interest wasn’t inspired by the motorcycle version the sport is so commonly associated with. “I’ve been to watch it once or twice when younger and everybody said ‘come and watch motor speedway’ but that doesn’t interest me at all really. At the age of nineteen, having been riding for six years, he took a break from the sport. 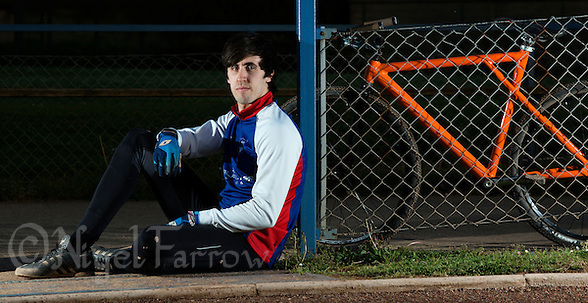 He had by this time raced at the opening of a track in Arizona in the US as part of a Great Britain youth team, and been part of the England 2007 world junior title winning team, and the Great Blakenham team that won the British 4′s title in 2008 despite being the underdogs. However similar success as an individual at British Championships had eluded him, at times by only a point. Then with an ankle injury making any title challenges impossible for that season, and with other opportunities to explore, he drifted away from the track. However the draw of the sport was too strong. “I came back the second year in the elite league, rode a year but still not really taking it seriously, and then I sort of thought ‘no, I don’t like getting beaten so if I’m going to do it I’ve got to do it seriously again’ and got back in the gym and got the hunger back to win races really. In his desire to reach the top Brooke has worked at improving both his technique and his fitness. “When I first started I was not very good at the starts so I had to learn to pass everyone from behind and chase everyone down. I think to begin with that put me in good stead, obviously being able to pass and then as I got older the gate came and that became one of my strengths in the end because it was one of my weaknesses. “I put a lot more emphasis on my starts than I used to now because if you get out of the start in front then you’re in control of the race, so I’ve definitely become a lot more of a gater than I used to be. “I don’t think there is a specifically good technique, I think everyone has their own style. One of the British boys, and a couple of the Polish, have a really high pedal and they have actually got their heel on the other pedal already. I think it is something you have to learn yourself. You sort of find what is comfortable. I like quite a high pedal and that seems to work for me. Good gating however is only part of the battle. “You can be fast out of the gates but when you get to the top level you’ve got be physical. 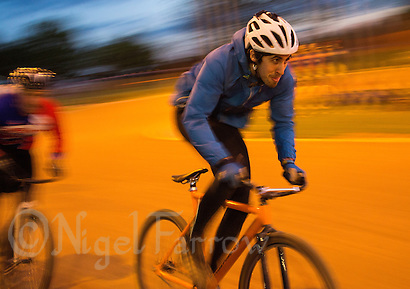 You’ve got people that necessarily aren’t quite as fast as other people but as soon as they have taken one pedal their elbows are out so you need to be able to get over them. It’s not just who the fastest gater is because you can be the fastest but if you’re too scared to get your elbows out or try knocking people around a bit then you’re going to get bullied out every time. He admits to nerves before a race but tries to remain confident in his plan: “Normally even a couple of hours before I’m going to race I’ve got this butterfly sort of feeling but (stay) calm and confident if possible. If you think you’re going to gate round someone or beat someone in that race then if you are confident that you are going to do it the chances are you will. If you are doubting yourself then you beat yourself even before you have got to the tapes. Just have your plan and be confident that you are going to do the plan in the first place. With some of the clubs in the Elite League using riders from elsewhere in the country or bringing top Polish riders over to race in their teams Brooke gets plenty of opportunity to test his progress. “They’ve got imports from sometimes 200 miles away which obviously isn’t good for your local riders if you have local talent that is trying to break through but then on the other hand you’ve got all your best riders riding in one league so every one in the same league, racing against each other, pushing each other. If you didn’t have that licence system some of the best riders that don’t ride for the best clubs would be missing out. Its sort of two sides of the same coin that help and don’t help really. In terms of racing everyones got good racing every couple of weeks, you’re racing at the top level so us British boys that want to be riding in the World and European final have got that racing there available to us. “Polish riders fly over for certain matches which obviously once again is one of the cons that you’ve got younger riders possibly missing out but then the World and European champion is from Poland, he comes over to ride, so if you want to measure yourself to where you are you need to go out and beat the World and European champion. If they didn’t fly him over you wouldn’t be able to. 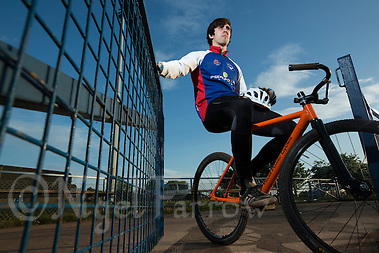 As he attempts to emulate past British winners of the World Individual title such as Les Westwood, this countries first winner in 1960, and 1985 winner Jim Varnish, the father of track cycling Olympian Jess Varnish, Brooke is already considering his competition. In particular he expects the current World one and two, Marcin Szymanski from Poland and Cody Chadwick from Australia, to be contenders. 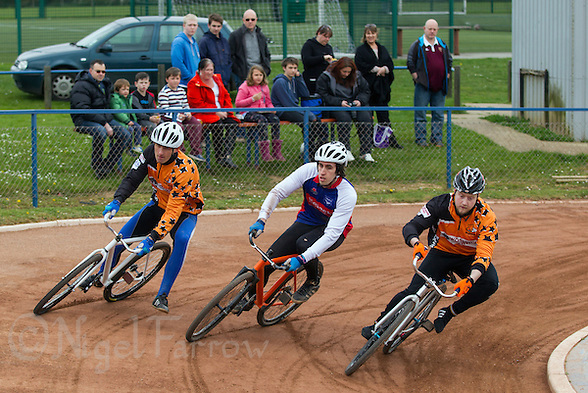 He also though expects Great Britain’s Paul Heard, Ben Mould and Chris Timms to provide a strong challenge. Posted on Saturday, August 8th, 2015 at 7:30 am. 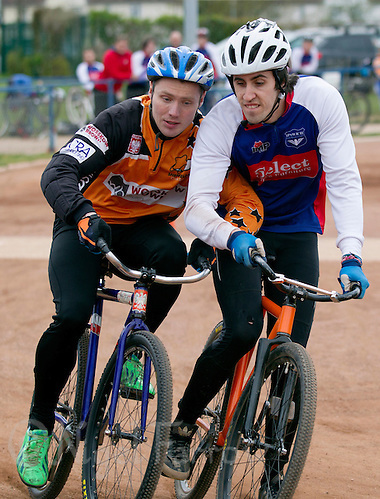 | Categories : Cycle Speedway, Cycle Speedway 2015, Cycling, Recent, Sport | Tags : cycle speedway, cycling, ipswich cycle speedway club, josh brooke, sport.